Thinking about giving your guests a real treat? 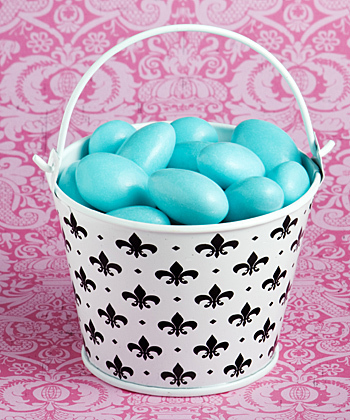 Well, this adorable little pail is just perfect for holding classic Jordan almonds, wrapped candy, candles, bath salts and any number of little goodies you could choose to share. Each 2.5" diameter pail measures 2" tall x 3" with the handle up and is made of white metal with a pretty black fleur de lis design. 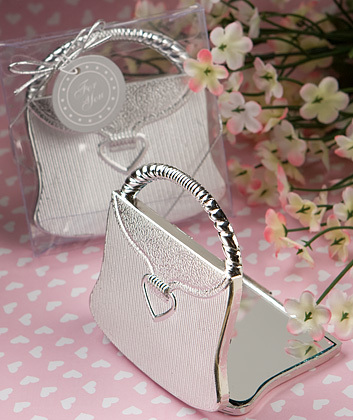 Ready for you to put your own special touches on and sure to look great on your event-day tables, these pail favors come bulk packed in a poly bag.